Oil is the most traded commodity in the world. China is the world’s largest consumer of oil. They only became the largest importer of oil in 2016, before that it was the United States. The US has traditionally always dominated the oil industry and oil is typically priced in US dollars. This is mainly since the US dollar is the world’s reserve currency (and it has been since the Bretton Woods agreement in 1944). 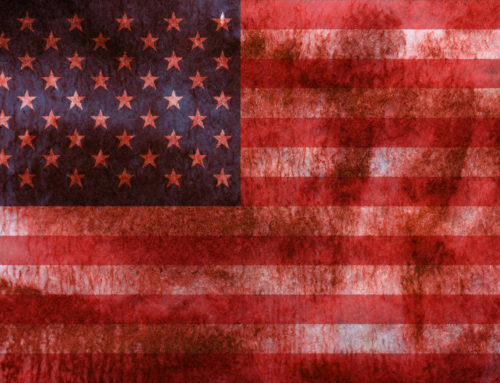 It is suggested that the US’s dominance over oil is one of the key pillars of their global hegemony. As the largest consumer of oil in the world, any decision China makes regarding the industry is certain to make an impact. Therefore, the fact that China wants to pay for its large import bill, not in dollars, but in its own currency, the yuan (or Renminbi/RMB) is undoubtedly a big deal. With this situation in mind, we are already beginning to see moves towards that happening; for the yuan to become more important in the global oil trade. Late last March, oil contracts denominated in yuan began trading for the first time in Shanghai. Over the long term, this is poised to change how oil (and potentially other commodities and assets) is traded globally. This will also create a petro-yuan currency flow, increase the role of the yuan as a global trading currency and encourage investors to increase their allocations to Chinese financial assets. China wants the new oil trading plan to promote the internationalisation of the yuan and will try to achieve this goal by forcing the wider adoption of it as a global trading currency. Therefore, switching their major imports payments to the yuan is part of this overall process. For the People’s Bank of China (PBOC), which is the central bank, the internationalisation of the yuan is clearly one of the priorities. If this plan with oil is successful, they can start looking at replicating this for other commodities purchases too. According to various sources, China will already be encouraging oil exporters to accept payment for their crude oil in yuan later this year, which would be the next logical step after introducing the new futures trading contract denominated in yuan, which began a few weeks ago. There is certainly adoption of the new contracts taking place already, with big global energy traders, such as Glencore, already trading in them. In fact, the emergence of petro-yuan (which basically just means RMB-denominated revenues collected by the world’s largest oil producers) is a natural development from this process and it is now expected to become the third global price benchmark alongside Brent and West Texas Intermediate Crude (WTI crude). “Moving oil trade out of dollars into Yuan will take right now between $600 billion and $800 billion worth of transactions out of the dollar… (That) means a stronger demand for things in China, whether it is securities or whether it is goods and services. It is a growth plus for China and that is why they want this to happen”. As you may expect, reactions to this development have been mixed. For professional traders and investors, it is simply a case of accepting it and looking for where opportunities may exist; hence why the likes of Glencore are trading the new contracts. However, when it comes to the US and oil, there are always very strong opinions around. This news has led to suggestions that it marks the end of US dominance and hegemony, and even some commentators going as far as to say it is time for the East to take over from the West. However, as one would expect, others disagree and do not see this as the big threat it is potentially billed as being. Although the Chinese plan sounds good in theory, there are obviously some potential obstacles. One potential obstacle is the exchange policy designed by China. In 1994, the yuan was pegged to the US dollar. A currency peg is when a central bank chooses to attach its exchange rate to the currency of another country. In this case, it was the yuan being pegged to the US dollar. However, in 2005 China decided to move to a ‘managed float’ system, this is where the exchange rates are allowed to fluctuate freely, but the central banks will then try to influence the rates by buying and selling currencies themselves (used by many countries around the world). As a result of switching to this system, the yuan was allowed to appreciate. The yuan now moves in accordance with a basket of major foreign currencies, rather than being pegged to one single currency. The Chinese government is usually very intent on keeping the yuan undervalued, rather than getting too strong, since a weaker yuan helps to promote the country’s exports. With this in mind, it is argued that if China wants to gain the confidence of investors and be able to sustain the much bigger capital inflows that would result from its success, they may need to reconsider their exchange rate policy to make it more sustainable and insulated from external shocks. Instead, countries can choose up to two of these three things, but not all three. For example, countries like the UK will have free capital movement and an independent monetary policy, but they cannot have a controlled exchange rate. This impossible trinity is also known as the ‘trilemma’ and China is certainly experiencing that. They need to decide how to address this, but ultimately this is likely to mean that they will no longer have a weak yuan. These developments in oil and the yuan are going to shake up the world, but quite how this takes shape and whom it affects is something that can only be speculated about at the moment. Saudi Arabia (whose economy is dependent on oil and is the largest exporter of oil in the world) seems to remain firmly committed to the dollar peg for the Riyal (which has been in place for more than 30 years), and to the continued dominance of the US dollar as the medium of payment for its oil exports. However, the petro-yuan could cause issues for Aramco, which is the Saudi state-owned oil company and estimated to be the most valuable company in the world at between $2-10 trillion. The petro-yuan is an unplanned and possibly unmanageable variable in Aramco’s long-term strategic planning and its preparations for potentially the biggest IPO in history, since it affects stability, which is the top priority in global energy markets. On the other hand, Saudi Arabia may benefit from this move since, given the extent of its commercial partnership with China. It may ensure the establishment of a long-term eastern market for crude in the world’s biggest oil-consuming economy and it may hedge against the surge in American oil exports triggered by the shale boom. Russia, the largest petroleum producer in the world, has welcomed the petro-yuan. Gazprom, the 3rd largest oil producer in Russia, has already made the switch from the US dollar to the yuan and other Asian currencies. The wider use of petro-yuan will greatly benefit Russia politically as it allows Russia to further reduce its dependency on the United States and the US dollar. It also limits the US’s ability to wage economic war against Russia. 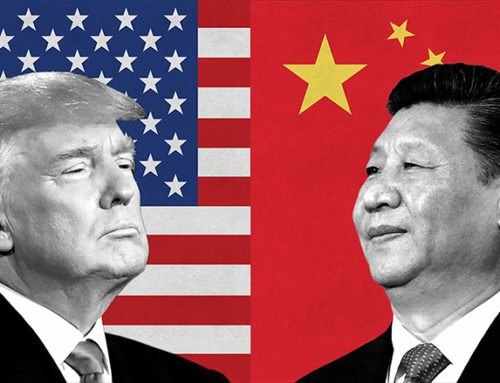 Over the long term, the petro-yuan may offer a win-win solution for the two contenders on the recent trade and tariff war, the US and China. It will take years for Chinese oil futures to become an alternative benchmark. This means, the petro-yuan will have a light impact on the US economy in the short term, but it could help to lower the value of the US dollar against other foreign currencies. In turn, this will make US dollar denominated exports more competitive in global markets, which will mean the US can reduce the trade deficit, particularly with China. For now, this is all speculation and we cannot be certain how this will unfold or how it will affect other nations. However, it is clear this is a major shift for global oil markets and certainly a situation we should all be aware of.